Generally, while making the PLC program, we have to use SET and RESET instructions in our PLC program on many rungs. For using SET and RESET we have to write these instructions at two different rungs, and for every BIT that has SET it has to RESET at some condition. 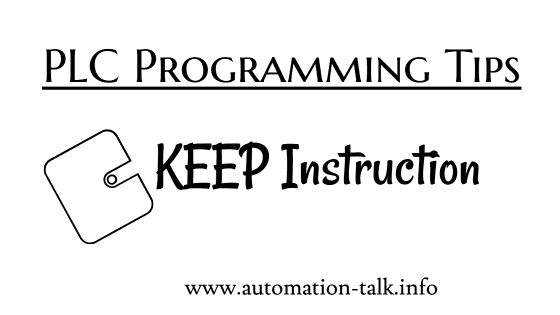 In this tutorial, will discuss KEEP instruction, where we can define both above instructions. There is a better instruction available in CX-Programmer for such situation, CX- Programmer is the software used to program the Omron PLC, which can do your job easy. 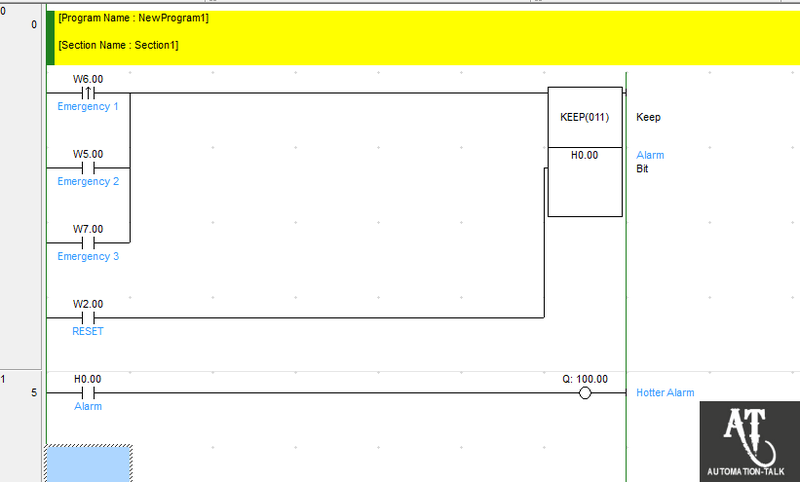 KEEP is the instruction name and in this instruction, we can define the SET and RESET conditions at same rung. Note:- Click on the picture for a clear view. When W2.0 turns ON, the designated bit will go ON and stay ON until reset, regardless of whether W2.0 stays ON or goes OFF. When W3.0 turns ON, the designated bit will go OFF(w4.0). KEEP Instruction can be used to create flip-flops as shown below. If a holding bit is used for BIT to be SET, the bit status will be retained even during a power interruption. KEEP can thus be used to program bits that will maintain status after restarting the PLC follow­ing a power interruption. An example of this that can be used to produce a warning display following a system shutdown for an emergency situation is shown below. i) If S and R are ON simultaneously, the reset input takes precedence. ii) The set input (S) cannot be received while R is ON. 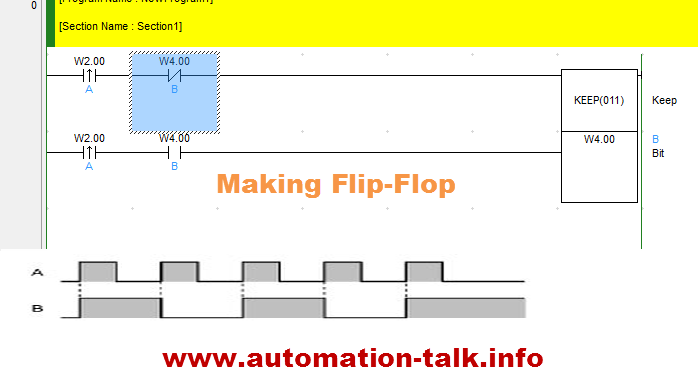 We will be posting more articles on PLC Programming tips, till then you can subscribe to get all updates in yours Inbox. Subscribe to Automation-Talk by Email.